June 30 to July 2 2018, in Łódź, Poland. 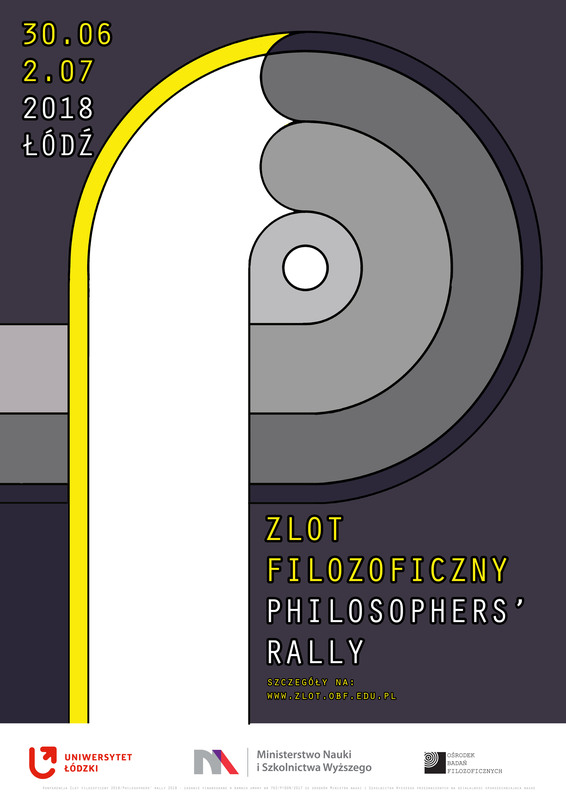 Philosophers’ Rally is an academic conference aimed for students, PhD candidates and academic researchers working in philosophy and related fields. The conference is organized annually by Centre for Philosophical Research and one of the local universities. This year, the local organizer is the University of Łódź. The purpose of the Rally is to present the state of the recent research undertaken within philosophy. The event is conducive to the integration of participants having varying degrees of experience and coming from different research centers. During the conference, the speeches of students and PhD candidates accompany the speeches of noted researchers. This year, the guests of the Rally will include, among others, Adam Andrzejewski, Witold Hensel, Andrzej Indrzejczak, Aldona Pobojewska, Natasza Szutta, Alfredo Vernazzani, and Zsófia Zvolenszky. After the Rally, the organizers are planning to release a special edition of the online philosophical magazine HYBRIS with selected papers by the participants of the Rally. Konferencja Zlot Filozoficzny 2018/Philosophers' Rally 2018 - is funded by the Ministry of Science and Higher Education of the Republic of Poland, under grant agreement no. 762/P-DUN/2017.